Properties in Manheim average 4.7 out of 5 stars. Property 4: Stately Victorian Cottage With Wrap Around Porch Situated On A Walking Street. Property 20: Spacious cottage with a view of the lake and dog friendly too. Property 21: Relax close to all the Amish Country attractions. Affordable, Family-Friendly. Property 27: Nestled on a quiet walking street but close to it all! Property 30: What a view and all the amenities too. Property 32: Adorable Cottage Surrounded By Amish Farms. On The Grounds Of A Historic B&b. 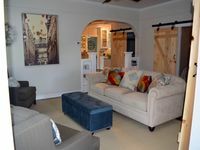 Property 34: Cozy Retreat To Relax And Refresh! 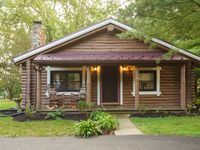 Property 45: Cozy Getaway Near Hershey!